Derek Jeter, the Yankees’ shortstop and captain, who is nearing the final act of a golden athletic career, is ready to talk about his life after baseball. He wants to be a book publisher. Derek Jeter suggested that his upcoming book enterprise might lead to other ways of presenting content, like movies or television. On Thursday, he is expected to announce that he will start his own publishing division, Jeter Publishing, a partnership with Simon & Schuster. Saying he had thought a lot about his future while recovering from injuries last season, he portrayed the move as a way to explore a project that combines his interests in business and content. The publishing imprint will include nonfiction books for adults, like biographies and titles on business and lifestyle; children’s picture books; middle-grade fiction; and books for young children who are just learning to read. Jeter suggested the book enterprise might lead to other ways of presenting content, like films or television. Jeter Publishing, whose first books are expected to be released in 2014, might provide a partial answer to fans who have wondered what Jeter’s plans after baseball might entail. It’s a question that has been occupying him lately as he prepares for what might be his final season. He became the Yankees’ full-time shortstop in 1996, when he was 21, and will turn 40 in June. In the 2013 season, he was hampered by various leg injuries — all of them linked to a broken ankle he suffered in October 2012 — that sent him to the disabled list several times. Adding to the speculation was the departure of several of Jeter’s closest teammates — Mariano Rivera, Andy Pettitte and Jorge Posada — who retired in the last two years. But Jeter, known for his polite but unrevealing interactions with the press, has been circumspect about when he will make his own exit from the sport. On Wednesday, Jeter said that his “No. 1 focus” was getting ready for the 2014 season. He recently signed a one-year, $12 million deal that will take him through next season and, he said firmly, his ankle is feeling good. He said he fully expected to be the Yankees’ everyday shortstop next spring. Jeter Publishing has been quietly in the works for most of the last year. Excel Sports Management, his agency, talked to several publishers about the possibility of an imprint. 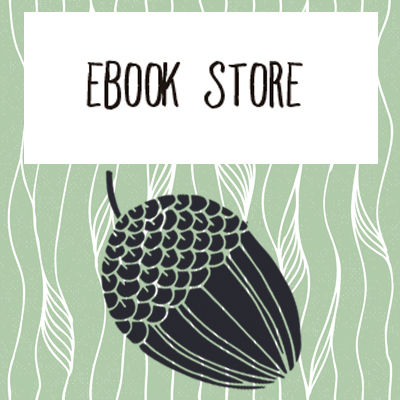 Simon & Schuster was approached in March, said Louise Burke, the president of Gallery Books, a division of the company whose editorial team will work with Jeter on titles for adults. Jeter, who has not indicated any strong interest in someday being a baseball manager or general manager, said that he had consulted with athletes who retired from sports — he declined to name them — about the smart way to transition from one career to another. Jeter Publishing will be working with Wicked Cow Entertainment, a firm that manages strategy for sports and entertainment brands and will be looking for “brand extensions” for book content. “Extending that to the publishing world, notable people with interesting stories will be able to know, and trust, that their stories will be treated in an honorable manner,” Close said. 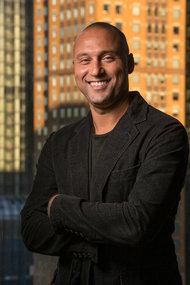 Jon Anderson, the president of Simon & Schuster Children’s Publishing, said that Jeter’s parents, Dorothy and Charles, are planning to meet with the editorial staff at Simon & Schuster to provide “background on young Derek Jeter.” Jeter’s charitable organization, the Turn 2 Foundation, will be involved with the children’s books stamped with the Jeter name. One of the first books planned, Anderson said, will be a “Derek Jeter guide to baseball” for younger readers that can be updated and reissued each year.